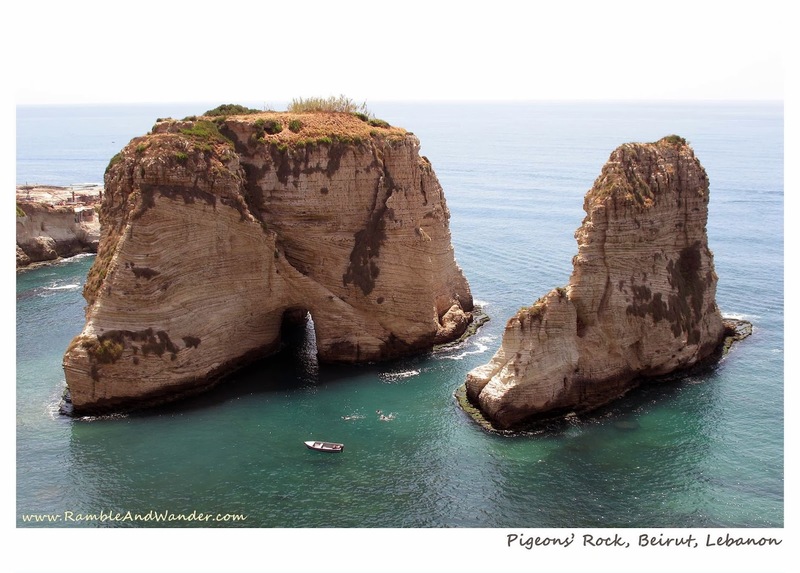 Pigeons' Rock, a two huge rock formation, is one of the most famous landmarks in Beirut, Lebanon. The Corniche area from where this photo was shot is a good vantage point to see Pigeons' Rock. There are a few cafes dotting the cliff area of the Corniche. One can also walk down to the lower chalk cliff (seen on the far left) to get a view "from" the sea as well as rent a small boat to go around the rocks and the caves, or just to swim in that part of Mediterranean Sea. It is! More so when they are very huge! haha! Masuk. Some folks lepak dalam tu, some just go for a swim around it while some others try to climb the huge rock.